Please note you are responsible for the tent once it has left our premises. Each tent is checked before each hire and tents returned damaged, missing poles or excessively dirty, could mean the loss of your deposit. Therefore please read the information below as it will save you time and make the trip more enjoyable. Pitch on a flat area as possible. Avoid lowland areas as these could be prone to flooding, they can be spotted by the longer green grass. Once selected remove any stones or other items that may damaged the ground sheet. When pitching try and take notice what direction the wind is blowing. Try to pitch with the lowest part facing the prevailing wind. This will help the wind to blow over the tent without causing disruption and will place the door so that rain won’t be blown in. Are you close to water supply? Consider your layout; where to cook? Wash up? eat ? light a fire? How close are you to your neighbour? If you have one, can you park your vehicle close by? If there are toilets/ showers facilities, are they within a reasonable distance? If you have a foot print we suggest laying this out first so it gives you an idea of the size and then you can pitch the tent over the top of it. It also acts as a second ground sheet. Making it more comfortable for you. The poles and other components are under the most stress and strain during pitching and care should be taken, so as not to put undue stress on to the poles. Make sure the poles are connected together properly. Fibreglass poles will split if over tensioned. If you need to overly strain any section of the tent during assembly, chances are, you are doing something wrong! We would advise that all zips should be fastened and windows left closed during pitching. Make sure any of the guy ropes are not caught up around the clips for the poles this will stop you pulling the tent taunt. Lay out the tent and put the poles next to the sleeves ready to be inserted. Normally the poles are colour coded by the middle pole and there is a colour tag on the sleeve to match the correct pole. When sliding the poles through the sleeve push them in. If you pull they will split inside the sleeve and the tent will fall down! Pegs should be pushed in by hand (or you can use a mallet if the ground is quite firm) at roughly a 45 degree angle and you should always remember never to remove a peg by pulling it out with the guy rope. This can often rip the tent so if you’ve pushed the peg in too far, the best method for removing it is by hooking it with another peg. If it is windy have a few pegs ready so you can peg in the ends closest to the wind first, while you adjust the tent and holds down without the fear of blowing over. Check inside that the ground sheet is smooth and not wrinkled. When set up, the tent seams should be lined up and the fabric taut with no sag lines. This will ensure that the outer and inner tent do not touch so that the interior is kept dry. 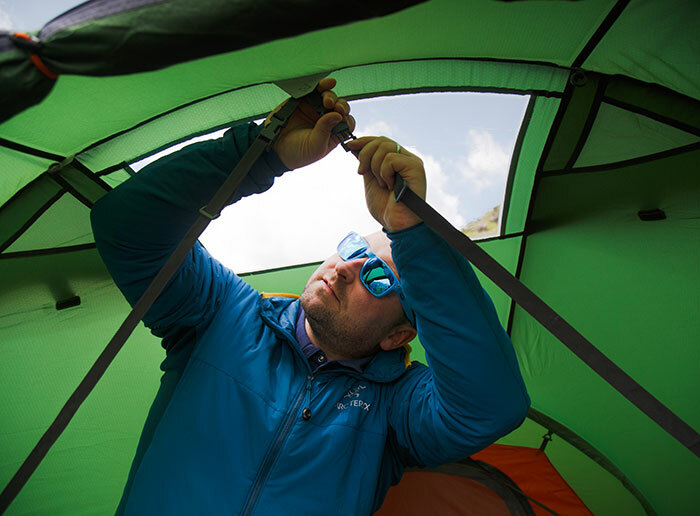 Make sure the Tent is well ventilated by opening the windows and fixing the guy ropes. Please Do NOT smoke inside the tents as they can be highly flammable. Keep naked flames away from your tent. Do not cook in your tent and we would not advise refilling gas bottles etc closely to the tent. Never leave any heat or light source unattended in the vicinity of the tent. With more and more tents having built in ground sheets, tents need to be ventilated, otherwise condensation can easily build up. Condensation is droplets of water developing on the inside of the polyester fabric and should not be confused with leakage. There are a number of ways that you can help to reduce the level of condensation. 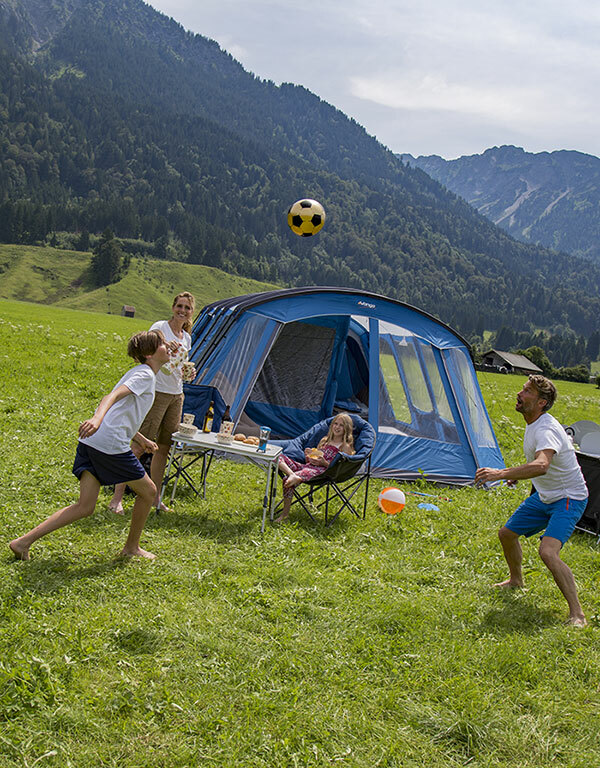 Air the tent as much as possible and always give all areas maximum ventilation possible. Let sleeping bags dry in the sun (these absorb a massive amount of moisture from their occupant during the night!). Should you experience problems with a zip, don’t force it as you may rip the fabric and therefore ruin your tent. Try slackening the tension of the tent. Don’t forget to periodically check over the structure including peg points and the tension of guy ropes. Always check all guys and pegs after adverse weather conditions. 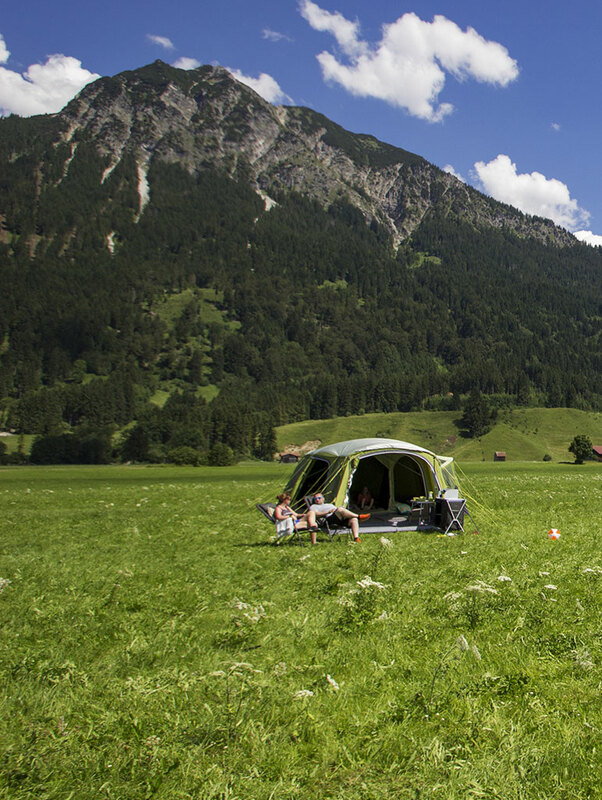 At the end of the day, a camping trip should be all about the experience and adventure as opposed to bringing all of your home comforts with you. The more stuff you bring, the less likely you will feel comfortable if you’re not able to move around the tent relatively freely. Try to this when the tent is dry? Let the tent air if you can. Clean out the inside of the groundsheet otherwise when you fold the tent up all the wet grass will stick to the inside of the tent. If you have a footprint, when folding the tent try to fold the tent on this, as it will keep the tent dry. When folding the tent try and do it towards the door area as this will allow the air to escape. Please remember the countryside and dispose of your litter responsibly.